Professionalism comes as second nature to us at The Color Company, and whether you live in Boston or the surrounding area you won’t fail to be impressed by our consummate approach. 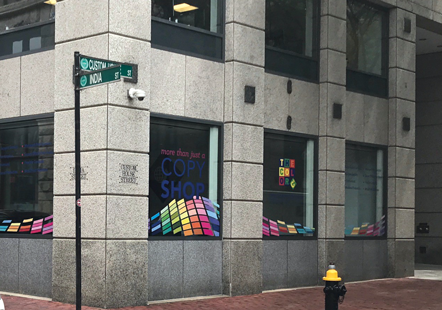 Our Boston branch is one of three locations firmly established in the USA, helping us to produce over 500,000 colour impressions every day on this side of the Atlantic alone. The scale of our projects vary from simple business card and brochure requests, through to building wraps and direct mail campaigns delivered to thousands of homes. Although we are positioned in the beautiful city of Boston we are constantly helping business from all over the East Coast of the country. We continue to expand our reach as more companies discover the benefits of our managed print solutions. If you need assistance with the rebranding of your business get in touch with our Boston team to see what we can do for you. Print is only one part of the service we provide and you be amazed at the full range of support we can give to you.